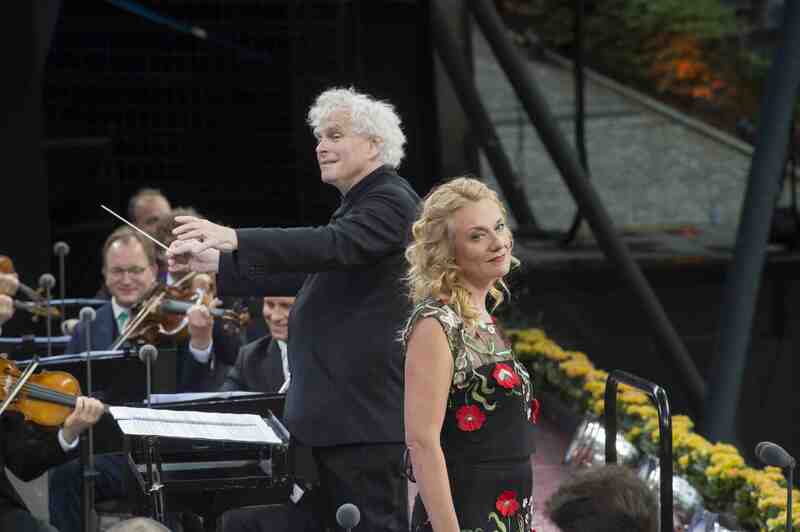 It is the end of an era: Sir Simon Rattle’s tenure as chief conductor of the Berliner Philharmoniker ends after 16 years with this concert at the Waldbühne. Even if it is not without a tear in our eyes, it is a cheerful concert with vibrant works by Gershwin, Fauré, Khachaturian and Respighi. The star guest is Sir Simon’s wife, mezzo-soprano Magdalena Kožená, who sings excerpts from Joseph Canteloube’s charming Chants d’Auvergne.